Military troops, bombs, airplanes, key military leaders, factories, Japanese internment, weapons…when one thinks of World War Two, most likely one of these elements of the war are what come to mind first. But what about other important factors, such as agriculture? When we remember this "war that changed the world," agriculture is often overlooked. However, it contributed much to the war effort and was one of the major factors that led America to its victory. One of the most prominent U.S. states when it comes to the subject of modern-day agriculture is California. However, without this massive war, California may not have become the agricultural powerhouse that it is today. Statistics show that during the 1940s agriculture in California increased by 16.4 percent. But why is that so? The answer is World War Two. 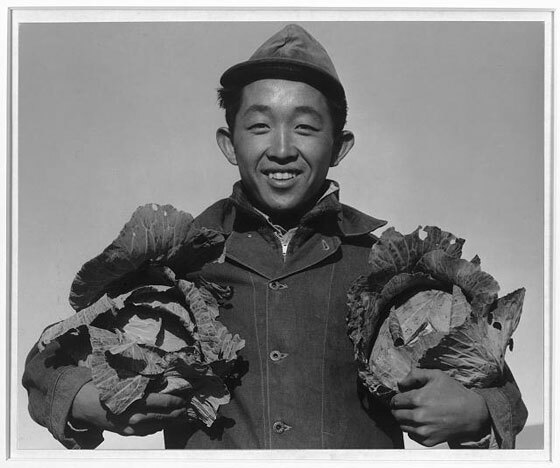 "Victory Gardens, also called 'war gardens' or 'food gardens for defense,' were gardens planted…to reduce the pressure on the public food supply brought on by the war effort… [G]ardeners could feel empowered by their contribution of labor and rewarded by the produce grown." -Laura Lawson. 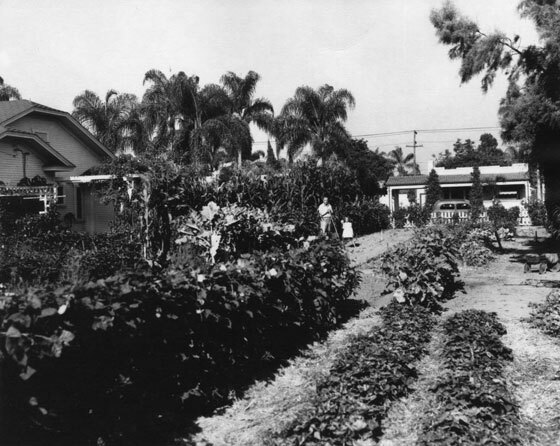 Along with the other states, California greatly contributed to the victory garden effort. 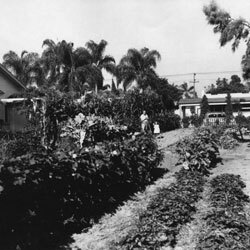 By 1944, these gardens, grown to help prevent food shortages, produced more than 40 percent of the nation's food. At their height, more than 20,000,000 victory gardens occupied the country. These gardens sparked a sense of patriotism in the hearts and minds of the American citizens and made them feel vital to the war effort. However, this was not the only way our "Golden State" contributed its agricultural talent to the Second World War. As early as 1940, Japan began to occupy the primary rubber producing countries of Southeast Asia, thus cutting off America's rubber supply. However, California refused to allow America to suffer from lack of rubber. On March 5, 1942, Congress passed the Emergency Rubber Act, due to the progression of the war and the critical need of rubber in modern warfare. 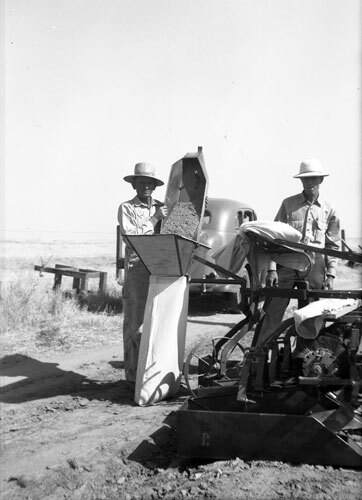 The result of this act was the Emergency Rubber Project, which was created to cultivate thousands of acres of Parthenium argentatum, commonly referred to as Guayule, a shrub native to northern Mexico and southern Texas, from which rubber could be extracted. At the time, the only rubber mill was located in Salinas, California and was owned by the Intercontinental Rubber Company. Over the next ten years, 4,500 acres of guayule were grown and milled in Salinas. 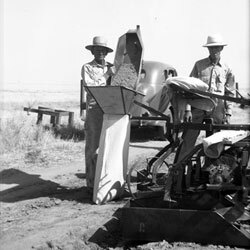 In addition, Guayule labor camps were established in Wasco and Shafter, California in order to assist with the war effort. The U.S. government eventually bought the Intercontinental Rubber Company and established a second mill in Bakersfield, California in 1945. Guayule and the rubber mills of California were fundamental to the war effort and without them our troops may have lacked the weapons and other supplies needed to ensure a victory. As the war proceeded, so did the need for agricultural laborers. California rose to our country's aide and utilized German P.O.W.s and Japanese Internees residing there. Although they were a partial solution to the crisis, even more laborers were needed to fill the role of the former farmers who were now defending the nation. 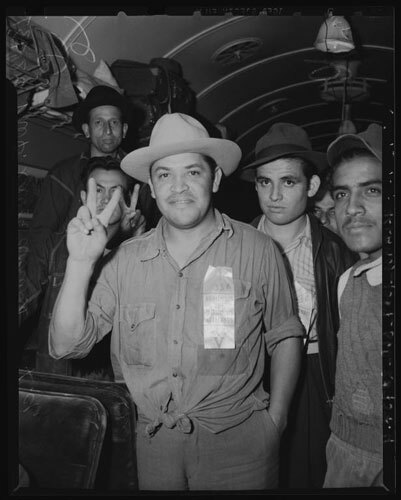 For this reason, the Emergency Labor Program was executed in 1942, thus allowing the importation of thousands of Mexican workers to labor in the nation's fields and railroads. 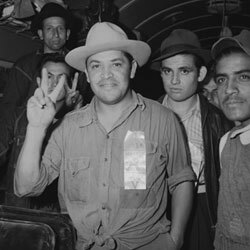 Many of these laborers, commonly referred to as "braceros" eventually ended up laboring on the west coast, namely California. 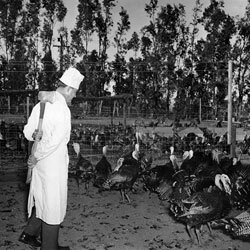 Even after the war ceased, the agricultural giant refused to give up its braceros and the program lasted until the mid-1960s. 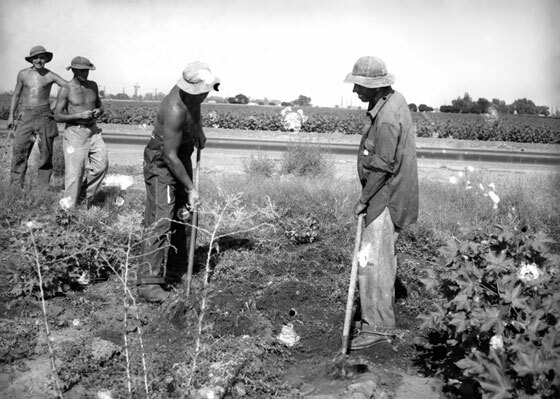 In a sense, this program caused an "agricultural gold rush" for California and during the 22 years of its existence, over four million braceros labored in the fields of California, thus turning the state into an agricultural powerhouse and enhancing its cultural diversity. 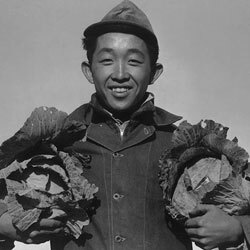 These laborers were crucial to the war effort and should be greatly appreciated for helping to fulfill our nation's agricultural needs. As America victoriously came out of World War Two, each state had something to be proud of. Every state made important contributions and sacrifices to the war effort. California's was not merely weapons, troops, and factories, but also agriculture, which was equally important. 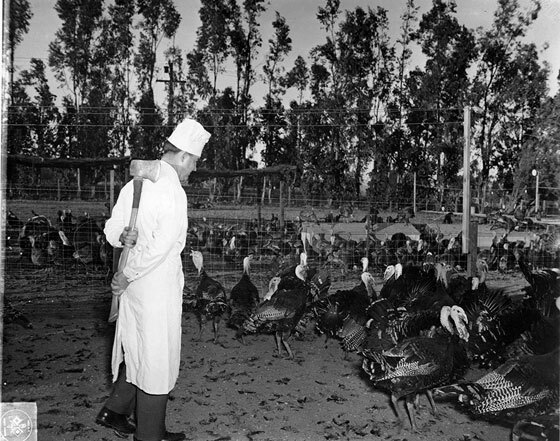 This war shaped California into what it is today: an agricultural powerhouse. 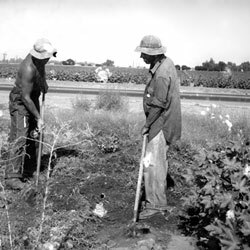 We must never forget the contributions made by our "Golden State" and its laborers who fought the war with their crops.